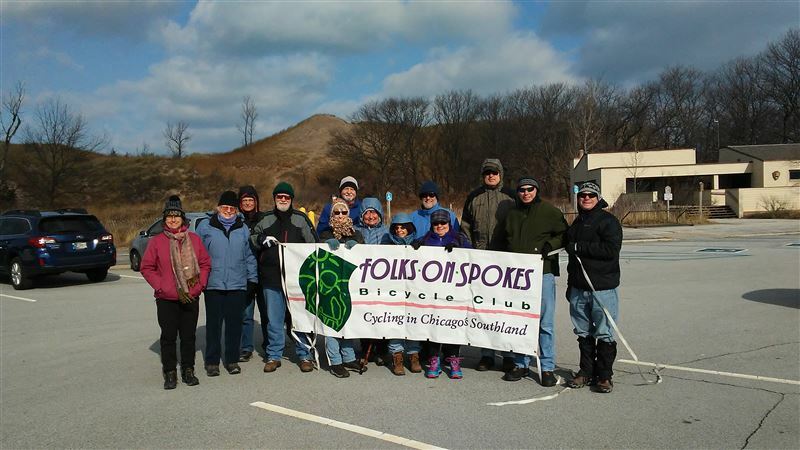 During off-biking season, Folks on Spokes members frequently gather for hiking and cross-country skiing throughout the area. 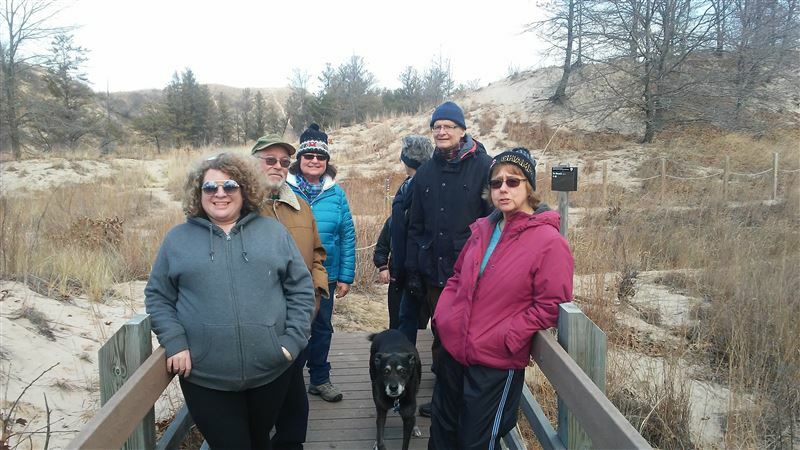 Hikes are generally every other Sunday plus New Years Day. 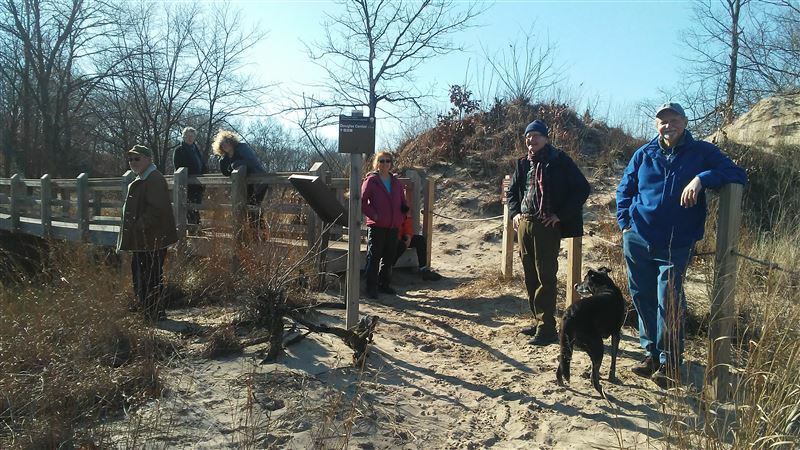 Check the Rides and Events calendar for specific hiking offerings. 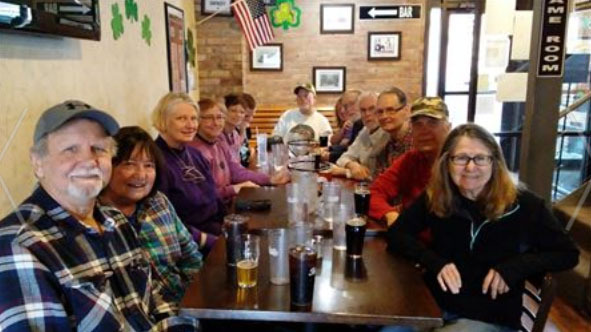 Hikes usually begin in the morning and range in length of four to six miles with lunch in a nearby restaurant. 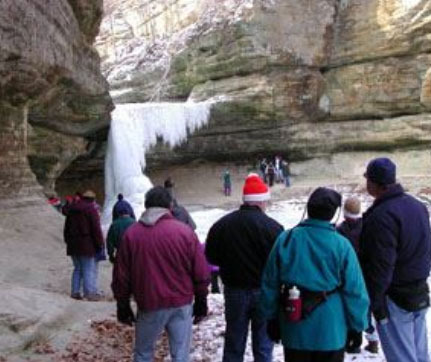 Usually there is an optional afternoon hike offered, depending on event leaders and group interest. 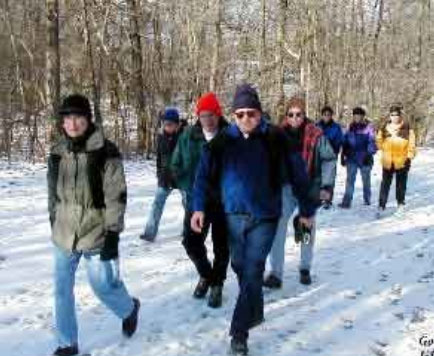 Hikers should dress for the weather and bring a snack and some water. 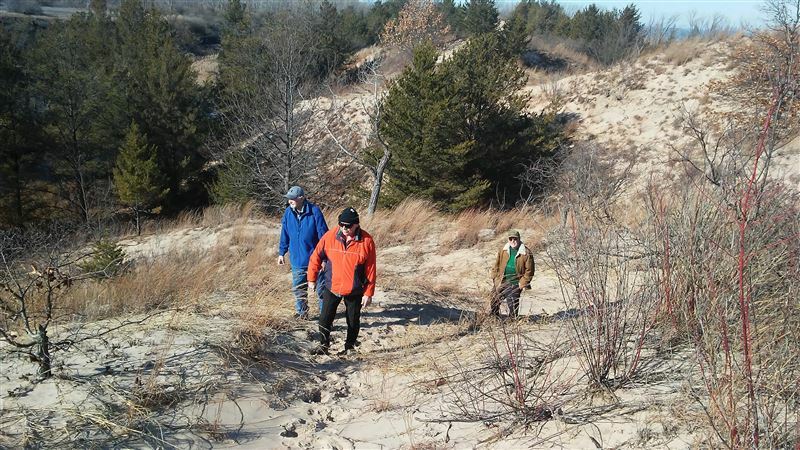 Light-weight, water proof hiking boots are recommended. In case of bad weather, such as heavy snow, rain, ice or sub-zero temperatures, please call the leader who may cancel the hike. The Event leader has the option of rescheduling the hike for another day. 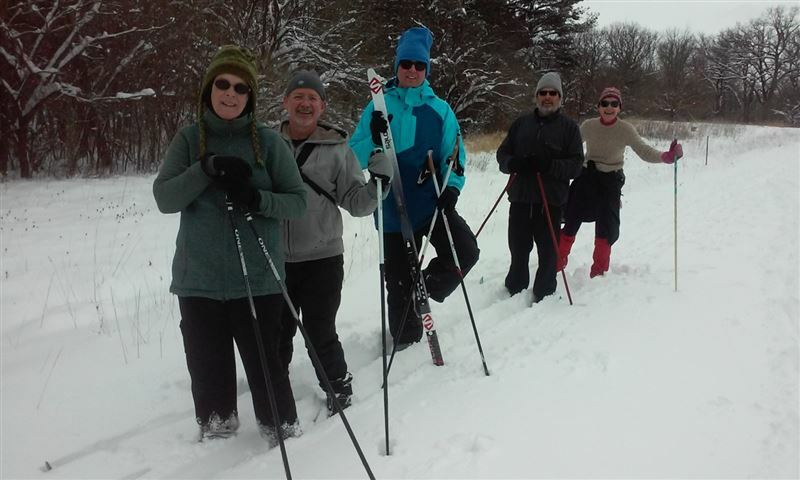 On many occasions, Folks on Spokes members have gathered to enjoy cross-country skiing througout the area on an "if-snow" basis. 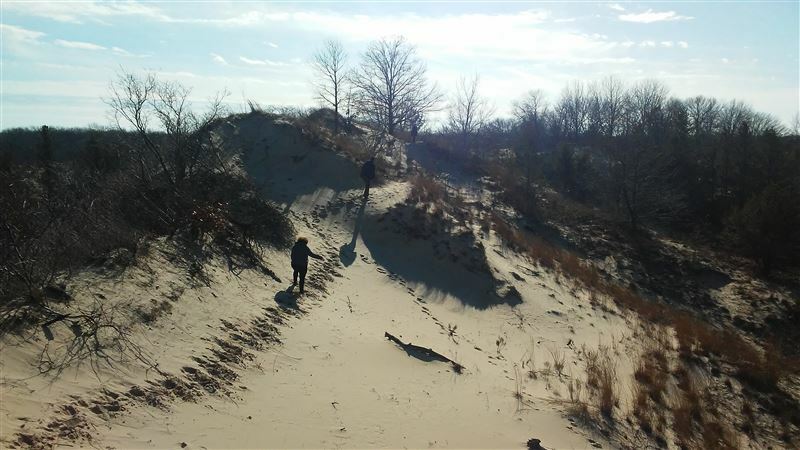 In addition to Northeast Illinois, members have traveled to Wisconsin, Indiana and Southern Michigan in search of snow. Trips are coordinated via the Rides and Events calendar and the Folks on Spokes google-groups email system. Contact Al Sturges at alsturges@sbcglobal.net to be placed on the e-mail list.